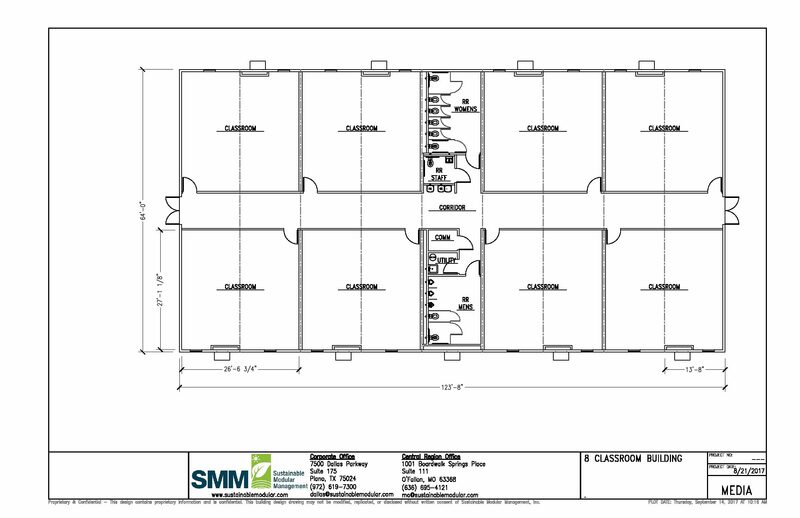 8-Classroom Modular Building | Sustainable Modular Management Inc.
123’ x 64’ Eight Classroom Modular Building has 26’ x 28’ classrooms and includes a boy’s and girl’s multi-user restroom. A spacious hallway down the center of the complex leads to each classroom and the large multi-user restrooms. A staff restroom, electrical, and janitor room are also included. Each entrance has two steel doors.